This book is an essential addition to the library of every dealer and collector of southwestern jewelry. 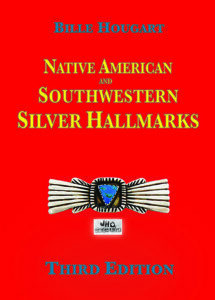 The 3rd Edition of Native American and Southwestern Silver Hallmarks is the most user-friendly and comprehensive guide to the identification of hallmarks available--519 pages! There are over 5,000 images of marks covering more than 4,000 individual entries of designers, silversmiths, guilds and traders. All tribes from the American Southwest are included--Hopi, Navajo, Zuni and Rio Grande Pueblos. 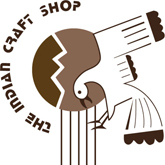 Also included are non-Native Americans working in the "southwestern" style. The book has separate sections featuring initials, names and symbols used as marks on silver, includes an extensive bibliography and it is fully cross-referenced and indexed. For history buffs, a history of government, trader, and guilds efforts to mark silver is included in the front matter.